CHECK FOR The Glacier Tour BY DATE! 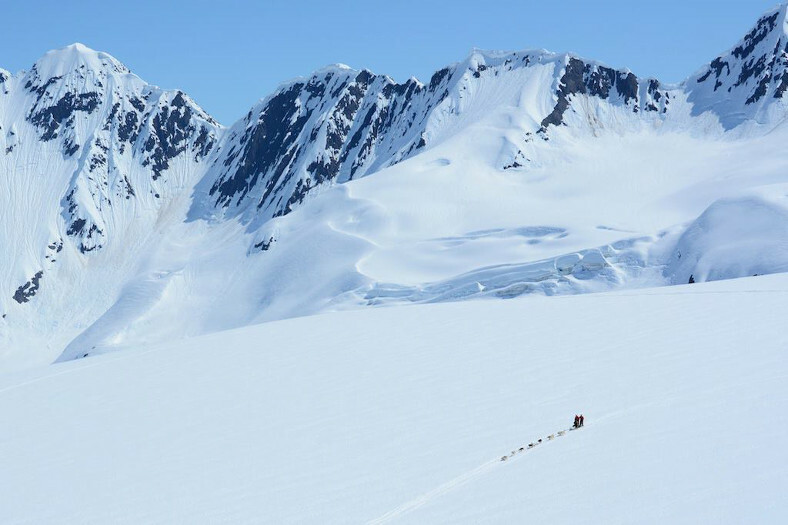 This Alaskan adventure is hard to top! 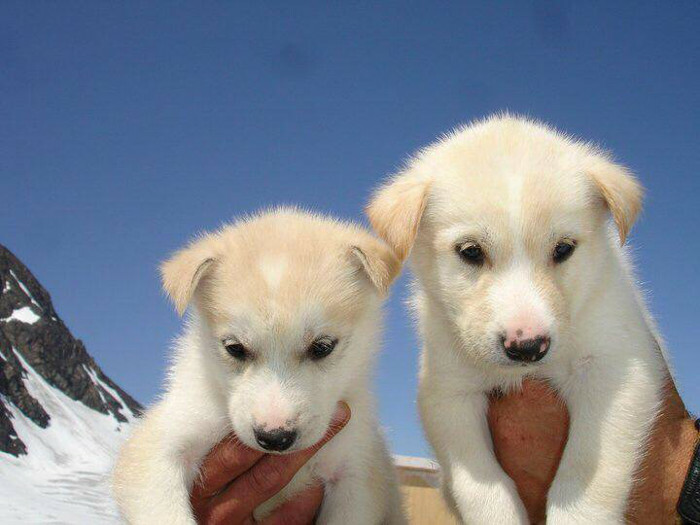 Take this exciting opportunity to learn about the dedicated dog sled teams of Alaskan Huskies. Enjoy a spectacular helicopter ride into the majestic Chugach Mountains and onto Punch Bowl Glacier, 3200 feet above sea level. Punch Bowl is a giant snowfield on top of hundreds of feet of ice. 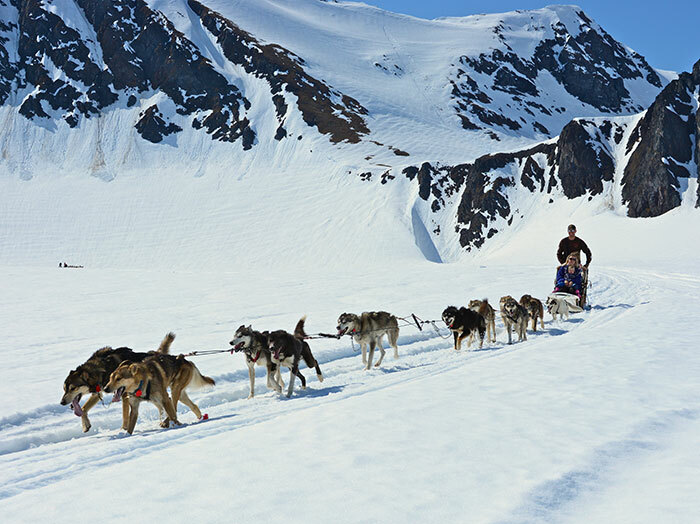 Learn how the dogs are bred, see how they are trained to pull the sled, and learn how they have everlasting endurance. Relax and enjoy the view as you ride on the sled around the glacier enjoying the scenic peaks and valleys surrounding you. The dogs possess an inherent drive to run, and if you pull on the brakes, it’s still hard to hold them back. This is a trip you will NEVER forget, and most visitors say it was the highlight of their Alaskan vacation!! If you have never followed this race before, after experiencing this tour, we know you will be in awe of this great race and sport! PLEASE make sure your camera battery is full! Please dress in layers, expect temperatures on the glacier to be from 45°- 60°. Wear warm comfortable layered clothing, sturdy shoes, and sunglasses. We will provide you with a water-resistant outer layer and Neos over-boots worn over your shoes to keep them dry. This adventure is $549 per person. Child rate is $499, 12 & under. We can pick you up from various locations in Girdwood upon request. 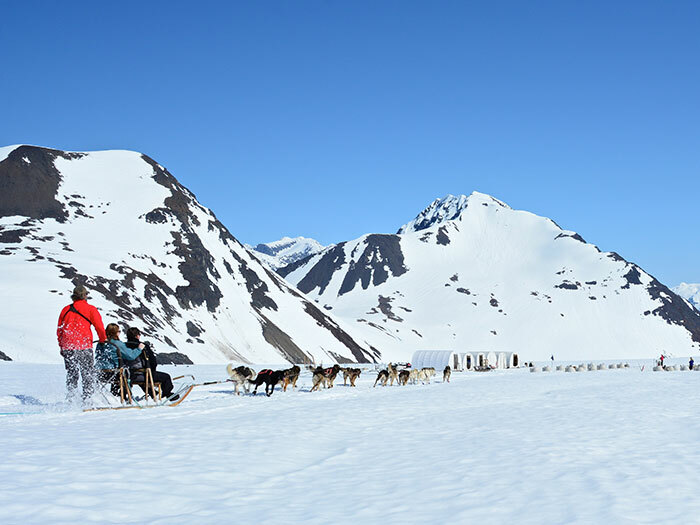 How long is the Glacier dog sledding tour? The dog sled tour is 1 hour and 45 minutes hour long. How long is the scenic flight to the glacier? 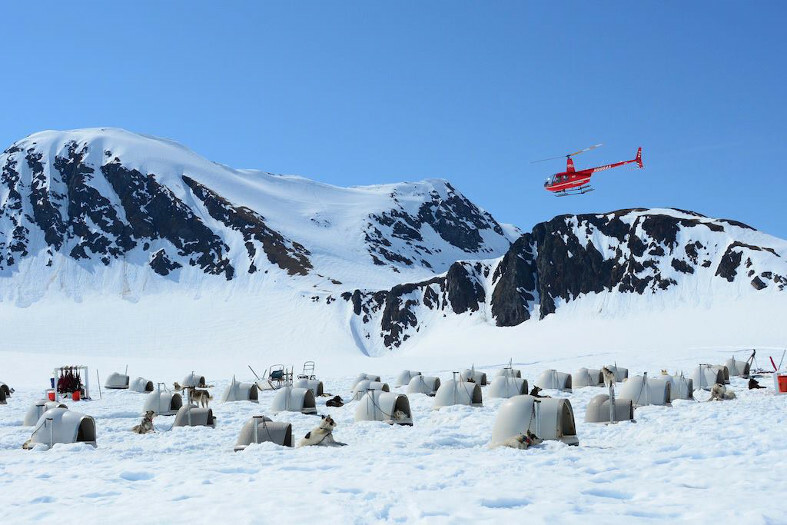 The scenic helicopter flight to the Alaskan glacier is approximately 10 minutes. How long is the mushing portion of the tour? You will mush the dog sled team for approximately 2 miles. How many people can go at a time? 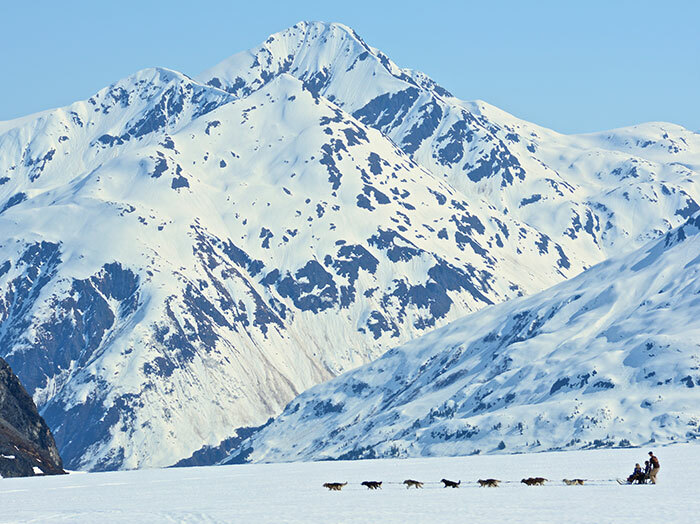 This dog sled tour is limited to 9 people. Larger groups, however, can be accommodated. For more information on having a large group up at our glacier, please call us at 907-224-8607. What should I wear on the glacier? We highly recommend having sunglasses while up on the glacier. We also recommend dressing in layers. A good windbreaker is also recommended, as it can be quite breezy on the glacier. Depending on the weather that day, the glacier can either be incredibly warm or it can be quite cool. By dressing in layers, you’ll be prepared regardless of the weather. We can provide sunglasses, gloves, boots, and jackets if you do not have your own and we have many sizes to choose from. Will I be allowed to drive my own sled? Our sleds are designed in such a way to give you the feel of driving your own dog team. Our guide, however, will always be with you. You should arrive at least half an hour before your scheduled tour time, so that we may go over our safety briefing. How far is Girdwood from Anchorage? Girdwood is about a half an hour from Anchorage. How often do you cancel tours due to weather? We rarely cancel tours and if we do cancel a tour, it is usually only one specific tour time. If you have flexibility in your schedule we are typically able to put you in on another tour time.